Wondering why your iTunes keeps freezing, even after you have restarted your iTunes several times? Follow this article guide carefully. Here, we have some issues discussed on why your iTunes keeps freezing and also how to fix. Causes of "iTunes keeps freezing"
iTunes application itself can cause you a lot of havoc, most especially whenever it needs an update. Their programs can be so funny at times, instead of it popping up a message for an available update, it tends to run slow on the computer and stop responding to actions. Also, the major problem with crashes comes from a computer program. Most of the programs built by IT Software companies kill some system application for them to operate properly on the system. Your computer might also be running an old version of windows with outdated drivers to support your iTunes, this can also cause an iTunes crashing. Before any action is taken on the iTunes program itself, it is essential to restart the system in other to kill all running programs, and also on system resume make sure all auto-start applications are put off then restart your iTunes. 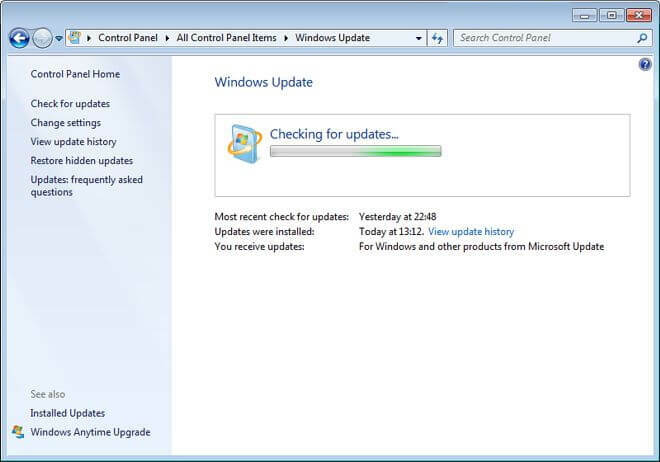 If it doesn't work, it is advisable to check for windows update, and also update all outdated drivers on the system. Step 1. Download and install this tool to your PC. Step 2. Launch iMyFone TunesFix and click Fix Other iTunes Prolems option to start repairing iTunes. It takes you around 15 seconds. Step 3. After this, you can check to see whether your iTunes can work smoothly. If still not, you can click Quick Clean to fix the issue. This advanced repair can resolve more iTunes issues. Automatically detects iTunes issues upon launch and allows you to fix them in one click. All iTunes issues/erros can be fixed via this software. Repair any iTunes issue without data loss. Free up space on your PC and boost iTunes performance. Completely uninstall iTunes and all its related components with a single click. Nice and clean user interface. Easy to use, even for beginners. Step 1: Click on the Control Panel. Step 2: Looking for Windows Update. Step 3: Check for changes in windows and update it. Step 1: Click on the START button. Step 2: Navigate to Control Panel. Step 4: At the left-hand side panel, look for Device Manager. 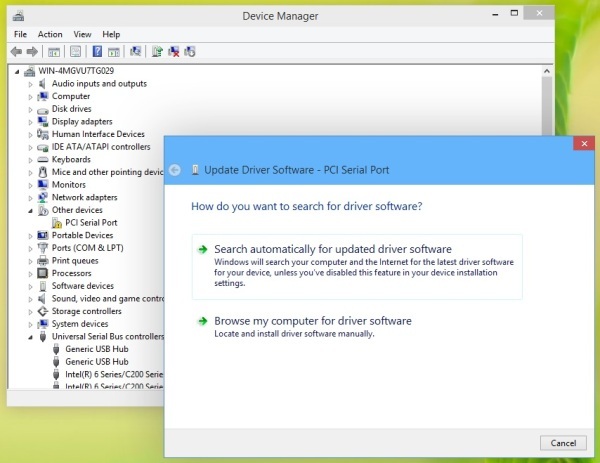 Step 5: Click on device managers and search for outdated drivers. Another solution to iTunes keeps crashing is to uninstall recent programs that might cause your iTunes to crash, most especially if there is any recently installed antivirus. A system restore can help. How to Avoid iTunes Keeps Freezing Issue? There has been no better alternative to iTunes than to make use of the iMyFone TunesMate. Are you tired of iTunes keeps freezing issues? iMyFone TunesMate has come to give you a better and operational service. It has finally come to give you an everlasting feature in managing your library. You can virtually get everything out of it. What exactly do you want to do? 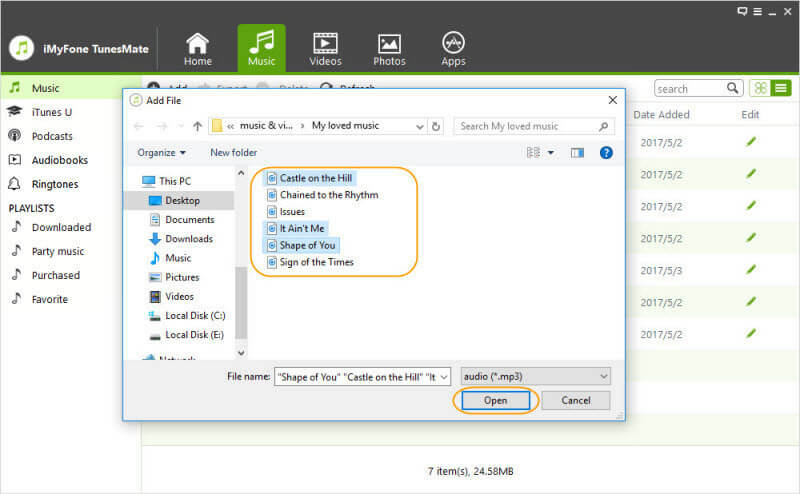 Backup, Restore, Edit, Convert and Transfer files easily with the iMyFone TunesMate. Directly Transfer - Transfer media files without opening iTunes. 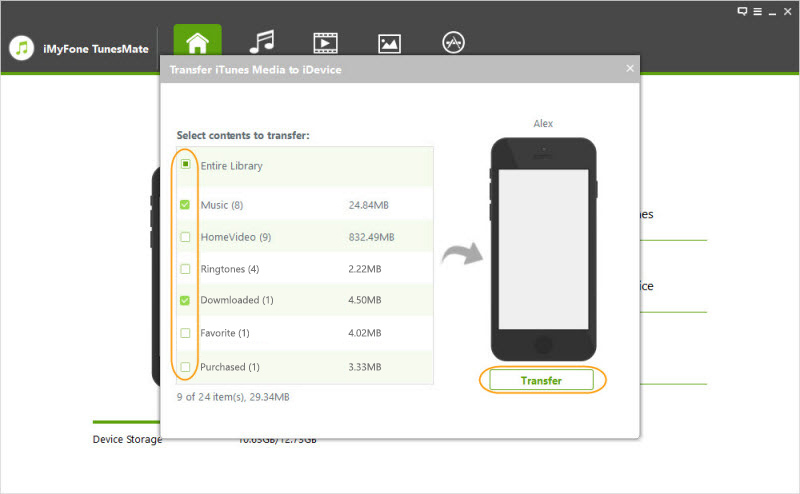 Two-way Transfer - Transfer media files between iPhone and computer/iTunes freely, and vice versa. Rebuild iTunes Library - Restore lost/damaged/corrupted iTunes library from your iOS device. Share without Limits - Share iTunes music with family and friends, even in different Apple ID. Step 1: Launch your iMyFone TunesMate and connect your iPhone. Step 2: In the home interface at the right-hand side panel, you will see an action labeled "Transfer iTunes media to iDevice", Click on this. Step 3: All your iTunes media files will be scanned and displayed in a list. 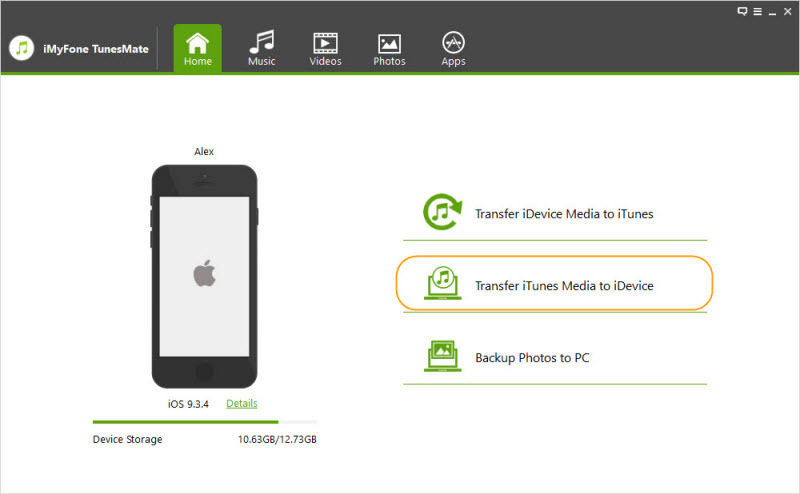 Step 4: Now it's time for you to select all the media files you would like to transfer. By default, all media are automatically selected, so it's up to you to deselect any media you wouldn't love to transfer. Step 5: Then click on the "Transfer" button. Step 6: Once it's done press "OK" to finish this step. Transferring your iTunes media has never been this easy. Step 1: Launch iMyFone TunesMate and connect your iPhone making use of a USB cable. 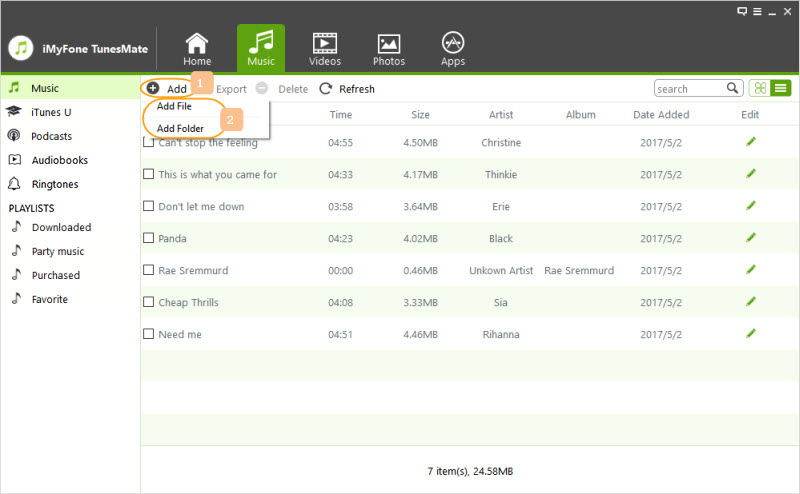 Step 2: Navigate to Music/Videos, in the main page look at the top section and select "Add > Add File/Folder". Step 3: To add specific media into your iPhone, select Add File, but to add all media files in one folder, select Add Folder. Step 4: Select the file/folder and click open to carry out the transfer. That solves it all! With the help of iMyFone TunesMate, you'll never meet iTunes keeps freezing issue.